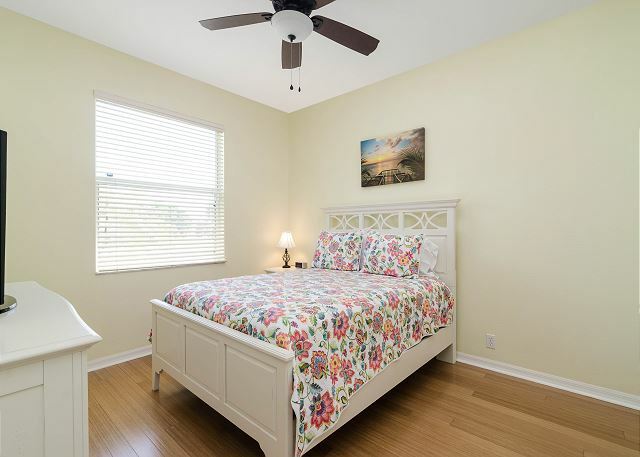 Escape to the island and feel instantly relaxed at June Court! 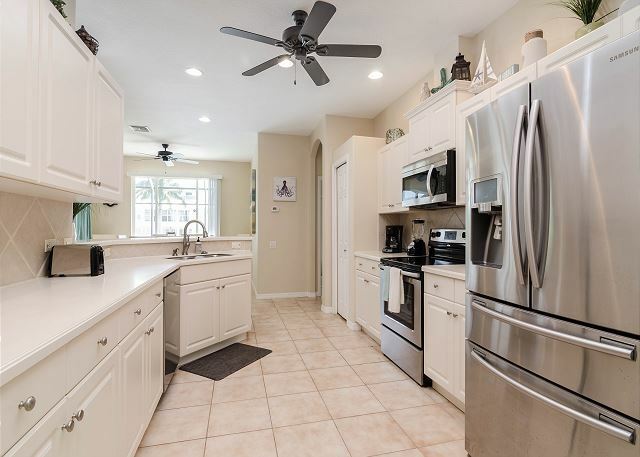 This light and bright central Marco Island home has been recently updated with new coastal style furnishings and offers a spacious open floor plan perfect for a family to spread out. 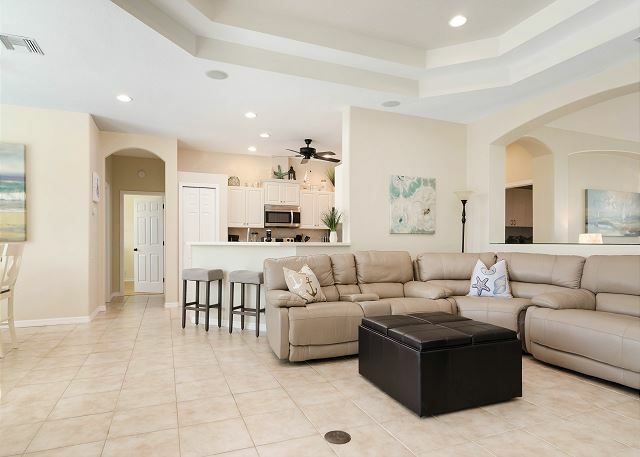 From the front door, enter a formal living room with lounge style seating for five, then pass into the family room, where a sectional sofa and leather recliner seat another seven people overlooking the big screen TV. 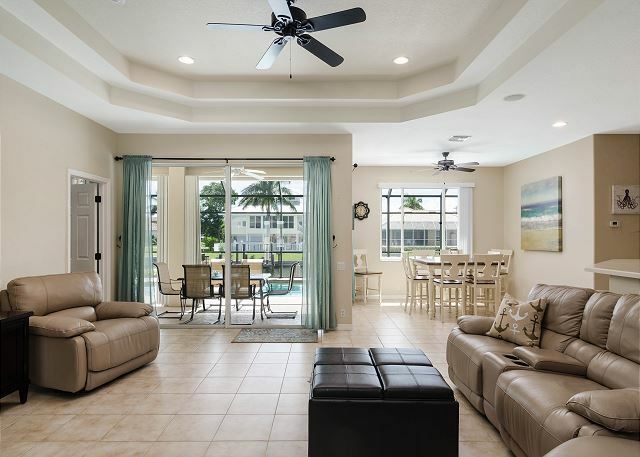 The open kitchen overlooks the family room and dining area, which have sliding glass doors that lead out to the covered lanai and pool area beyond. 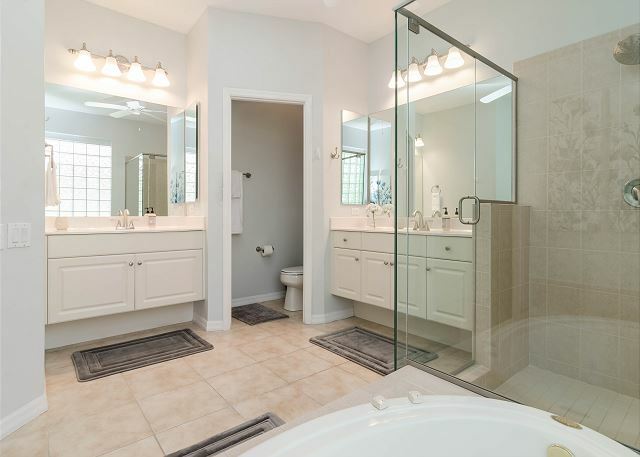 The split bedroom floor plan places the master (complete with a king size bed and large TV) on the north side of the house with an en suite bath and sliding glass doors out to the lanai. 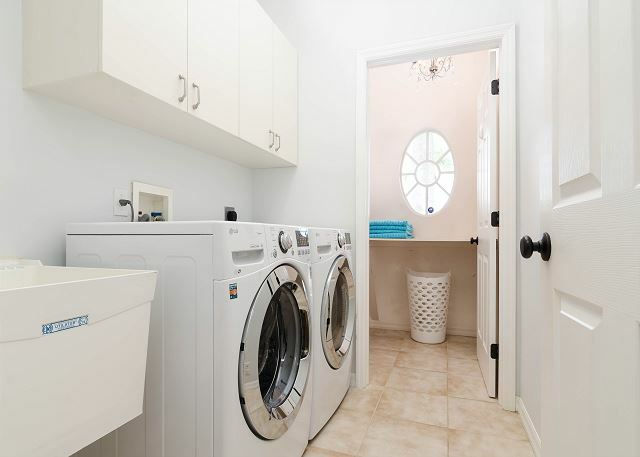 Two guest bedrooms with queen size beds are located off a small hallway the south side of the house. 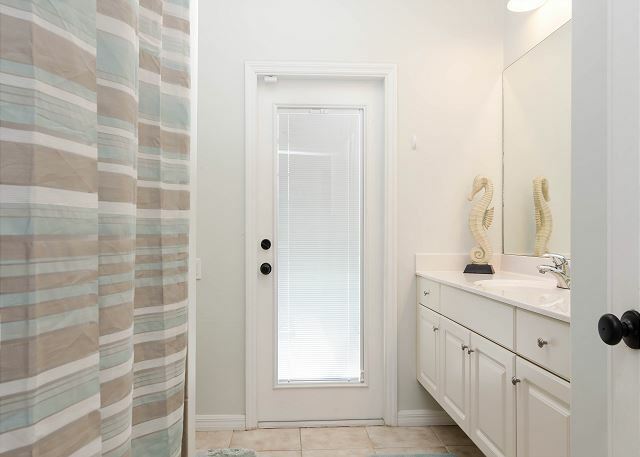 The guest bath is located between them with a shower/tub combo and a door the leads out to the pool area. 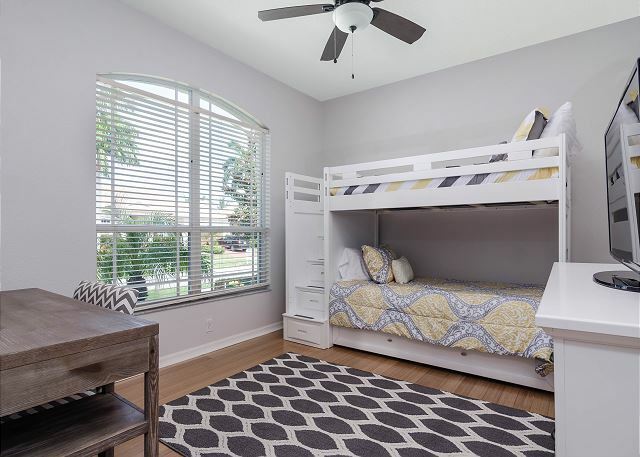 A den at the front of the house and has been converted to a fourth bedroom with a traditional fully closable door, bunk beds, a dresser, TV and desk. 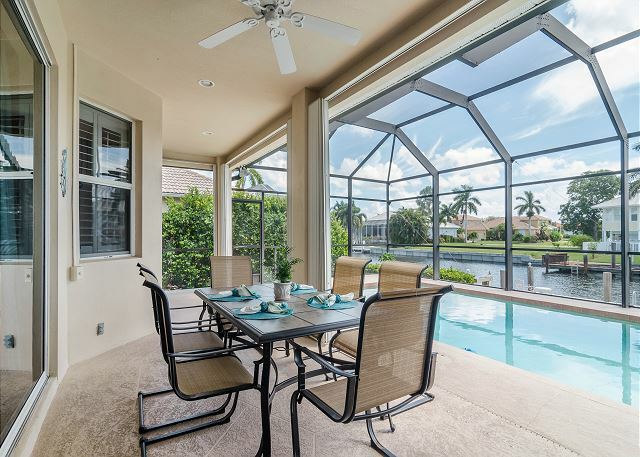 Outside, the lanai is complete with dining seating for 6, a gas grill and of course, the heated pool! Three chaise lounges overlook the pool and canal, where a large dock provides extra lounging and sunning space. The garage is stocked with beach gear (chairs and umbrella) and 4 bikes you may use for exploring the island or hitting the beach - the nearest access point is just 1.5 miles from the house. If you’re ready to soak up the sun in comfort and style, June Court awaits! 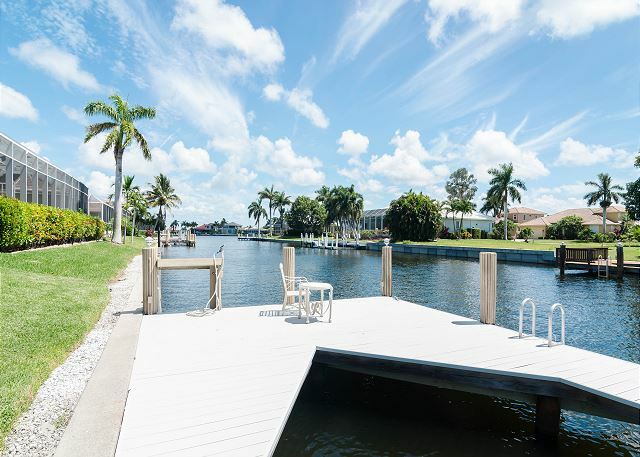 This property is super close to an amazing beach! The pool is also great. There was an extra fridge in the garage, beach towels, sand toys, a collapsible cooler, a large cooler, a beach umbrella... they had everything you need for a wonderful beach vacation! We would definitely rent again. Wow, thank you Tate! We're thrilled that you took full advantage of the amenities at June Ct and were able to enjoy the gorgeous beach down here! We would love to host you again next time you visit Marco Island! Thank you, Zhenia! 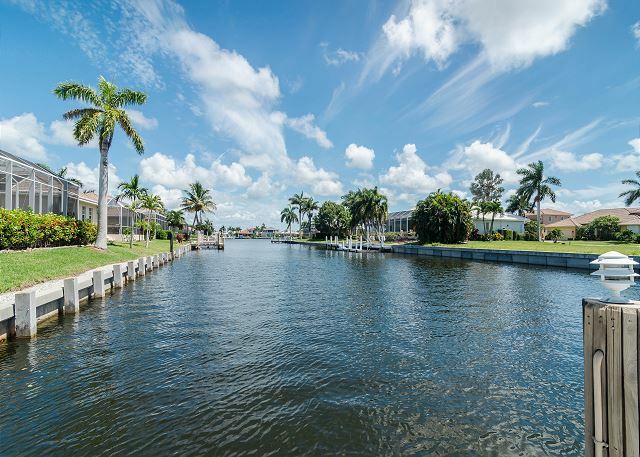 We would love to host you again next time you are in Marco Island! The amenities in the house were above and beyond our expectations. We have stayed in many house rentals across the US and the June Ct house was the best by far. Our stay at the home on June Court was very relaxing and enjoyable. The house was clean, very spacious with up to date furnishings. We enjoyed the home.